Jessying - Malaysia Beauty Blog - Skin Care reviews, Make Up reviews and latest beauty news in town! 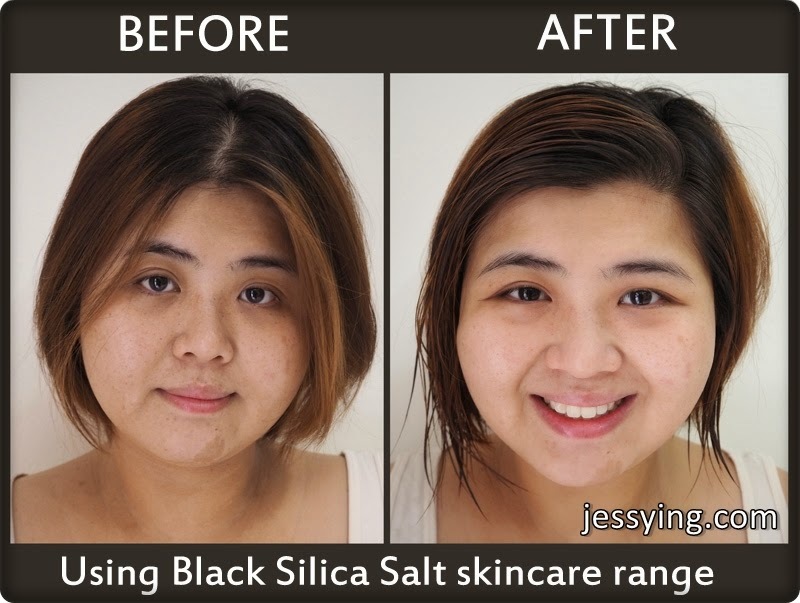 : Beauty Review : Black Silica Salt Skincare range with Before & After picture! Beauty Review : Black Silica Salt Skincare range with Before & After picture! 2 months ago I was approached by Mihada Skincare to try out a 3 step Japanese skincare brand named Black Silica Salt which is made from 100% natural ingredients and imported directly from Japan. If you have been reading my blog, you know I'm a big fan of Japanese skincare products and without hesitation I took up the offer to try. Before I shared my review on the Black Silica skincare range allow me to share what so unique about this brand. As the name suggested, Black Silica Salt is made from Black Silica powder with natural spring water from Mt. Fuji. Mountains of Hiyama in the Kaminokuni region of Hokkaido, Japan. Very often we heard of the word silica in our skincare, but this is the first time I heard about black silica. 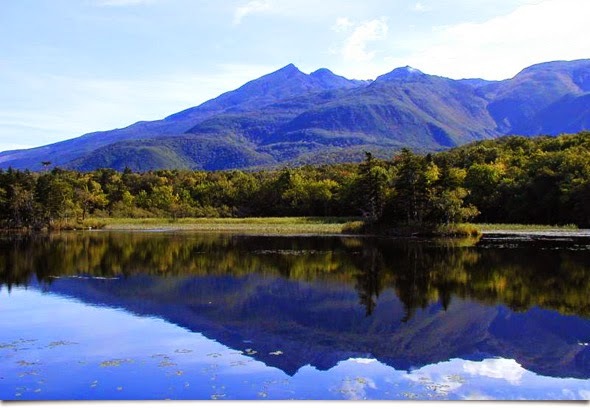 Black Silica originates only in the mountains of Hiyama in the Kaminokuni region of Hokkaido, Japan. It was formed during the very beginnings of life hundreds of millions of years ago at the bottom of the ocean and is recognized as one of the world’s rare natural ores. It is often referred to in Japan through its nickname "phantom ore" due to its scarcity. 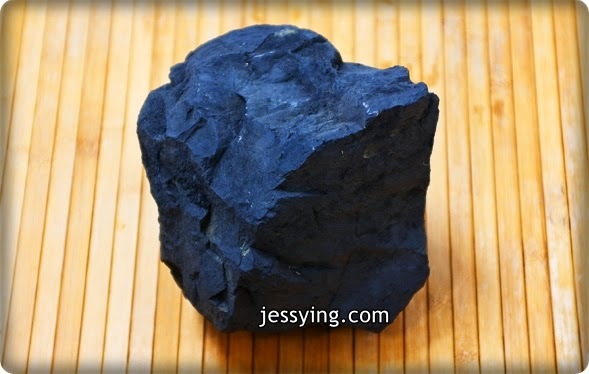 Black Silica is acclaimed to contain many healing attributes which Japanese feel it can save the earth. Black Silica recognized that is the trump card for rebuilding the earth’s contaminated environment. 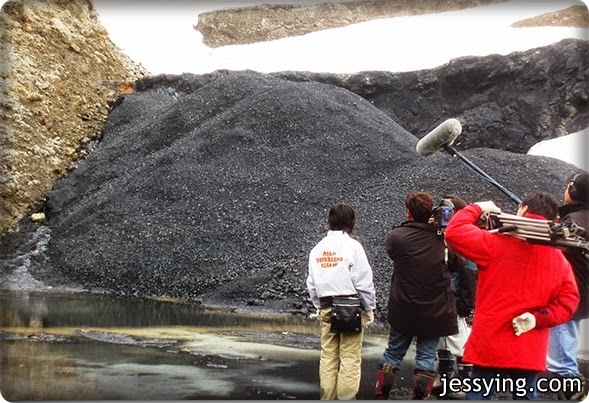 As you can see from the picture below, the snow melts on the Black Silica. And this is due to the Far Infrared Radiation that it naturally emits. Inuit natives have been using Black Silica as a natural remedy for injury treatment and a pain killer for many generations and Japanese farmers use it as a nutrient to nourish the earth after the ground has been used to cultivate produce. Black Silica at room temperature is special because not only is it rare, but it also emanates far infrared rays and negative ions. Far Infrared Rays - are absorbed by cells throughout the body and cause blood vessels to dilate, which is said to improve blood circulation, speed up the metabolism and help to eliminate wastes. Negative ions - is a type of antioxidant present in nature that is reported to react with and break down toxins in the bloodstream. The combination of negative ions and far infrared rays released in Black Silica is reported to benefit the skin, aid dieting, alleviate back and shoulder pains, lower blood pressure, boost the immune system and help reduce the effects of pollen allergies, diabetes, constipation, menstrual disorders, rheumatism. Black Silica Salt Facial Soap (RM99 for 50g) is a facial soap made from natural ingredients which contains natural “Horse Oil”. This “Horse Oil”, according to some, is similar to human skin. Black Silica Salt Soap maintains the natural oil layer of the skin (sebum) when cleansing the skin, thus it will not cause any burden to the skin. This facial cleanser which help to wash away the surface dirt without cause excessive moisture loss. It also protect moisture of the sebaceous glands (oil producing glands). To use this soap effectively, one need to use the washing net that was provided to produce the foam. 1) Put the soap inside the washing net. 2) Wet the washing net and hold both end of the net, and rub it gently in circular motion. 3) Remove the soap and add in a little bit water and rub in circular motion to makes the foam thicker. 4) Finally squeeze out all the foam from the washing net before using it to clean the face. The foam is a little greyish in colour and it's really soft & fine. Besides applying the foam evenly on to face, don't forget to apply on the neck to clean. Gently rub in circular motion to clean the pores of your face before rinsing off with warm water. I like how my face feel really clean, soft and refresh after cleaning. Unlike some cleanser, Black Silica Salt Facial Soap did not dry up my face. I got to admit I don't usually use facial soap bar at home as facial cleanser because I find it troublesome to foam up and to store after using, however I got to admit that with washing net given together with the Black Silica Salt Facial Soap, it's so easy to foam up and now I kept this on the soap dish I got from Daiso! Black Silica Salt Facial Esthe (RM199 for 180ml) is the second step product that contains minerals that works on the [osmotic] theory. The unique penetration capability effectively excrete waste to the deepest layer of the skin, leaving the pores squeaky-clean. Working with the far infrared principle of the Black Silica, it also promotes blood circulation and improves the skin natural metabolism rate and immune system. This will encourage the skin to produce it’s natural oil with water content that moisturizes the skin. Gentle rubbing onto the skin, it gives slight warm feelings that helps promoting the metabolism of the skins. The feeling tingling/numb is due to the reaction of suit towards the acne scar which will enhance skin immune system and help scars to regenerate faster. As you can see, Black Silica Salt Facial Esthe contains beads that is made from salt imported from Mexico and one should be gentle when scrubbing this. Take about a 20 cent coin size and it's sufficient for the whole face. Very important while using this product is that , do not towel dry your face after cleansing with the facial soap and use this Black Silica Salt Facial Esthe on wet skin or else it would be too harsh and drying for the skin to scrub directly on the skin. You will slowly you can feel the product (i.e) salt will melt & dissolve on the skin when you scrub on wet skin. Use this twice a day and more importantly to use it to on our night cleansing regime because our skin rejuvenate and start recovering process while we are sleeping. Apply Black Silica Salt Esthe evenly on the face and neck, gently massage after 20 - 30 seconds on your wet skin. I can feel warm sensation when I start massaging it on my skin. And I can feel tingling sensation on my skin when I scrub on my unhealed acne scar which I got occasionally during my period, must be due to the salt and I was told it was good because it will enhance skin immune system and help scars to regenerate faster and heals faster too! After I rinse off, I can see my skin looks brighter, skin feels really soft and pores look smaller. I really like this product because the result is pretty impressive. p/s: Remember to close your lips tightly when you rinse this Black Silica Salt Esthe because this product is really salty, after all this has salt as ingredient. 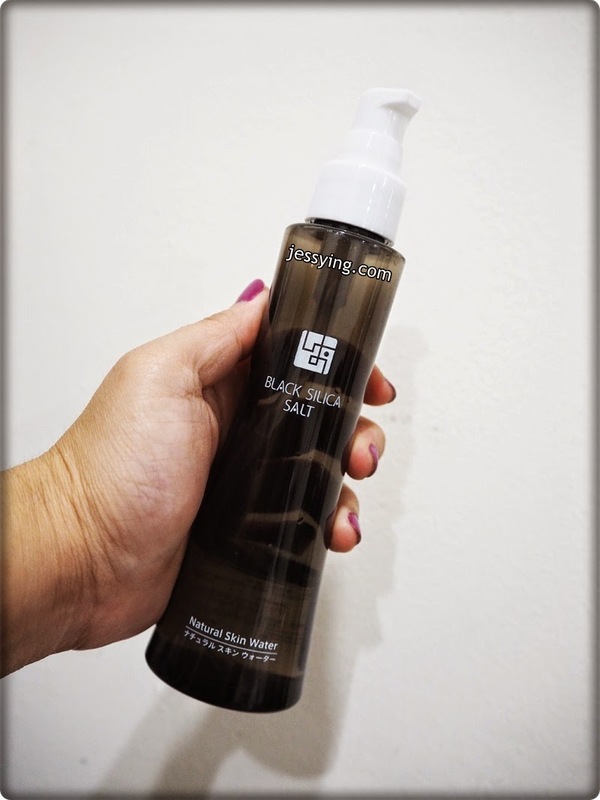 Black Silica Salt Natural Skin Water (RM199/150ml) is also moisturizing lotion which also known as miracle skin water contains water content originates from Mount Fuji. Besides that it also contains 73 types of minerals with mild acidic ionic water which help the skin to rejuvenate. Texture of Black Silica Salt Natural Skin Water is very watery and colourless. Instead of using cotton pad, it's advisable to pat Black Silica Salt Natural Skin Water with on my face for better absorption. Within seconds, the lotion is absorbed into my skin and my skin is supple and comfortable. And skin does not feel greasy at all! So after using the skincare for 2 months, here is the before & after picture to show to you how my Black Silica Salt skincare range works on my skin. My skin looks brighter, more even and pores looks so much smaller than before! 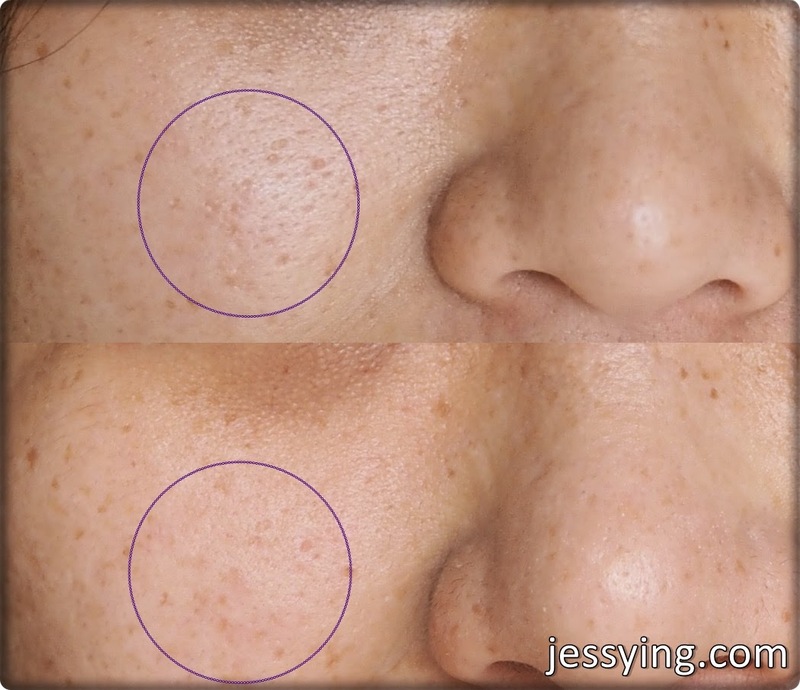 A zoom up of my open pores, amazing before & after picture!! Pores look smaller & cleaner! 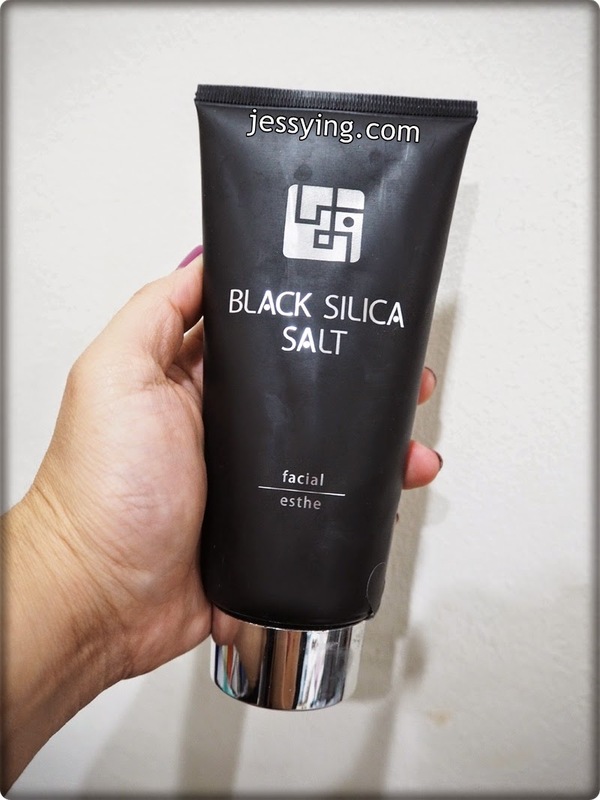 Honestly I was really impressed with this Black Silica Salt skincare because although there are only 3 products in the skincare regime, each of the products really works! It would definitely be perfect for people want to have a simple skincare routine that works! I like how it keep my skin problem at bay while moisturizing and brightening up my skin at the same time.